Lhasapoos are small dogs, being a cross breed between Lhasa Apso and Poodles. As for his fur, it can look like a Poodle with curly fur and like a Lhasa Apso with long straight coat. This dog has a nice face, along with a very stout body, its colors being quite varied. Lhasapoos are very friendly dogs, having an emotional character. However, some of them might have a very strange character, like the Lhasa Apso might, whose main goal was serving as a temple guard dog. It generally weighs around 10 to 20 pounds, this being a great size for a regular home. As guard dogs, they do a great job; however, they might bark in a very sharp way, which can get annoying. Lhasapoos can be trained very easily, especially they are so agile. As for their adaptative character, Lhasapoos adapt very easily to the lifestyle it sees around. You have to give them a nice walk every day or, if you do not have so much time, you could just find some play activities for them. You could let them join to differrent dog competitions as rally, agility and obedience, as they are athletic enough. Lhasapoos are smart dogs and they learn very quickly, so if you start socializing and training them as early as possible you can gain a great companion and friend. You should use positive right reinforcement techniques, they work out great. Give them praises, play and compensate them with food and you’ll be amazed how it works out. Poodles are hypoallergenic dogs, meaning they can be raised by allergic persons. This is the main reason why Lhasapoos are considered to be hypoallergenic, but it’s not a guarantee. Considering that allergies are caused by dead skin cells from dogs, you have nothing to worry about. 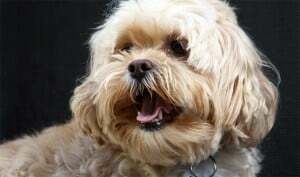 There are people suffering from allergies, who react better to certain dogs, and a Lhasapoo could be one of them. However, no well-known breeder will guarantee for the hypoallergenic nature of his or her dogs. Lhasapoos are more than suitable for being your pets. They are companion dogs who love their family and friends, needing to sleep only indoors and never outside the house. As for their puppies, they can be quite lovely. That’s why the Lhasapoos are so popular. A lot of people buy these cute puppies, making the Lhasapoo a favorite among breeders. They are not expensive at all, so you don’t have to pay a lot of money for a dog like this. If you are decided and you really want to have a dog like this, all you have to do is to go to a local pet shop or contact an adoption organization. The Lhasapoos’ personality is due to their inheritance and not necessarily to the environment. That’s why it can be so changeable. Its temperament depends on many things, like the nature of its parents, especially the female parent, who is inclined to affect a cub’s behavior; the socialization it gets and last but not least, the genes from its parents. If the genes inherited from its parents are coming from the Lhasa side, then the dog might be a little bit unfriendly. If not and the genes inherited are from the Poodle side, then this dog might be very playful. 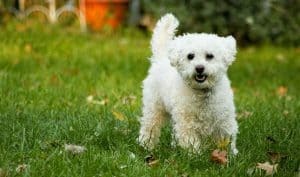 Both breeds can have a very proud character, specifying that Poodles enjoy more showing off their good looking and even a few tricks. Lhasapoos are clever dogs. However, they sometimes might want to show their stubbornness and independence, features coming from the Lhasa side. Yet, if it’s trained with positive reinforcement techniques and if you’re able to show the dog what you prefer by giving him rewards like different treats, praise and play, there is a good chance that it’s going to learn very easily and quickly. 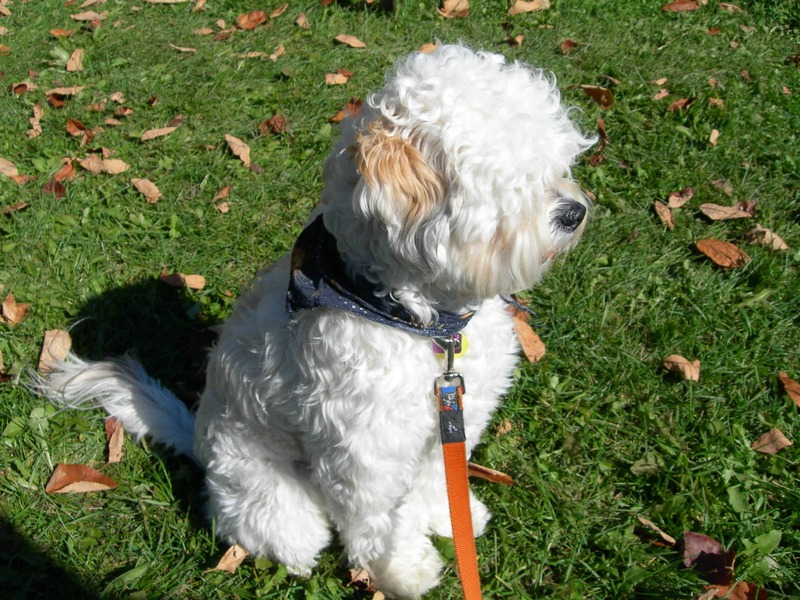 As for Lhasapoo’s health, you need to know that they are likely to be susceptible to problems from both breeds. On the other hand, the genetic diversity of the two breeds may reduce the chances of getting some inherited diseases. Sometimes it’s hard to say anything about this kind of dog due to the nature of its genetic variation. Among other things, Lhasapoos can have many types of fur, such as soft fur and tight curls, and even straight hair. Most of them have a coat full of curls, while only a part of them have the coat specific to Poodles or to Lhasa breed. However, their fur is always soft, no matter if it’s curly or straight. In the case of a Lhasapoo, its coat needs to be brushed every couple of days in order to prevent its tangles. It’s also highly recommended that you bathe the dog before a visit to the groomer. A special feature of Lhasapoos is that they develop some typical stains below their eyes. That’s why we recommend you should wash your dog’s face every day. It’s very important you should know that your dog needs to be clean and shaved in the belly area. As for its nails, they need to be trimmed almost every week. Besides that, make sure you keep its ears and teeth very clean, because this breed is liable to periodontal disease. All you have to do is to brush its teeth as often as possible.